1. Am I doing this correctly? – Trainers will be watching your every move and correcting your form during each workout, but it still doesn’t hurt to ask them if you are doing it right – especially if it hurts or something doesn’t feel normal. 2. Can you recommend a good post-workout snack or meal? 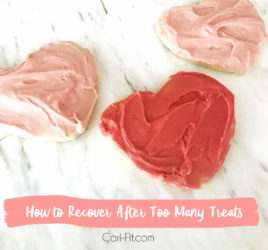 Most trainers will help you with your diet and nutrition, but it’s good to get their opinion on your meals and snacks and they might have some fun and healthy snack and meal options they can share. 3. Where should I be feeling this? If you aren’t sure where you should be “feeling” the exercise or what muscle you are working – ask your trainer! It will help you stay focused if you know exactly what you are working (like shoulders for example) and having a mind-body connection and staying focused on the muscle group you are working will help you get results faster. 4. Why am I not seeing results? 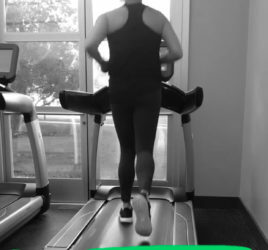 This is an important question to ask IF you are following all of your trainer’s guidelines (including diet) and you have been working out with him/her for at least 4 weeks. It might be that your diet is off or maybe you need to add in an additional day of training. 5. Why am I doing this exercise? You may be wondering why your trainer always has you do a certain exercise in a certain order or why they have you do an exercise you hate. Odds are this is for good reason and they are doing things that way to benefit you. They’d love to explain why they are doing certain things and educate you about your workouts so that you can understand how your body is going to respond and the science behind it. Here is the video of me training Yasmine from the Houston Rockets Power Dancers (featured above)!